Happy Friday! I've got an amazing recipe to share with you all. Let me start off by saying if you ever needed something to lift you up on those down-in-the-dump days, this is it right here. 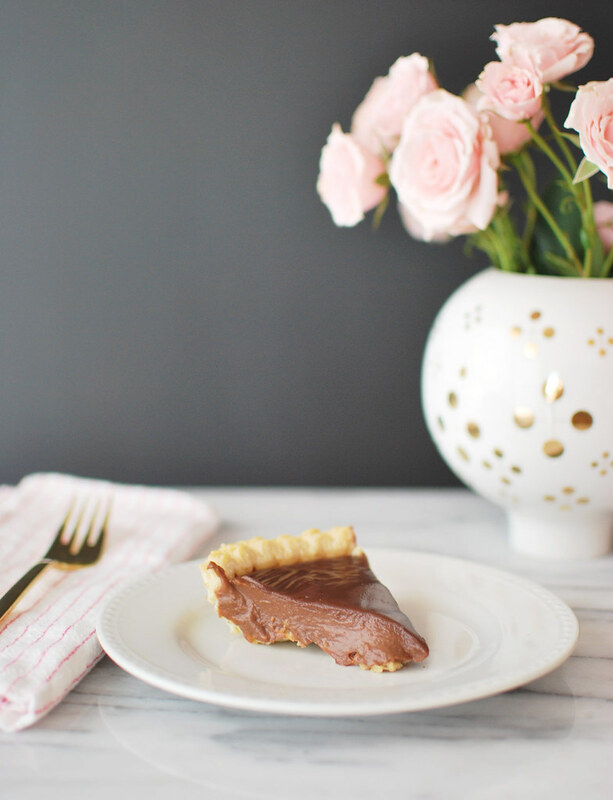 This Chocolate Pie will literally melt all of your stress away and put a GIANT smile on your face. There can't be anything bad in this world after eating it. 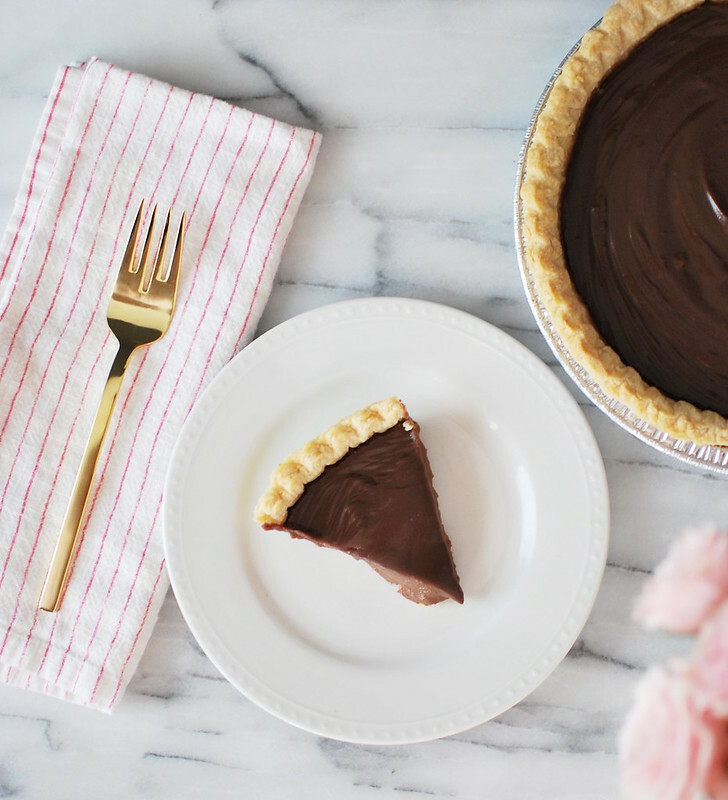 This chocolate pie is magical. And I don't say that often about dessert. But after having this, I can say with complete certainty that it will do the same for you as it has done for me. It makes me happy every single time I open the fridge because I know it's in there just waiting for me to indulge myself. I was watching The Pioneer Woman the other day (love her), and saw her making this dream of a pie. I've never had chocolate pie before. I know, shocking! 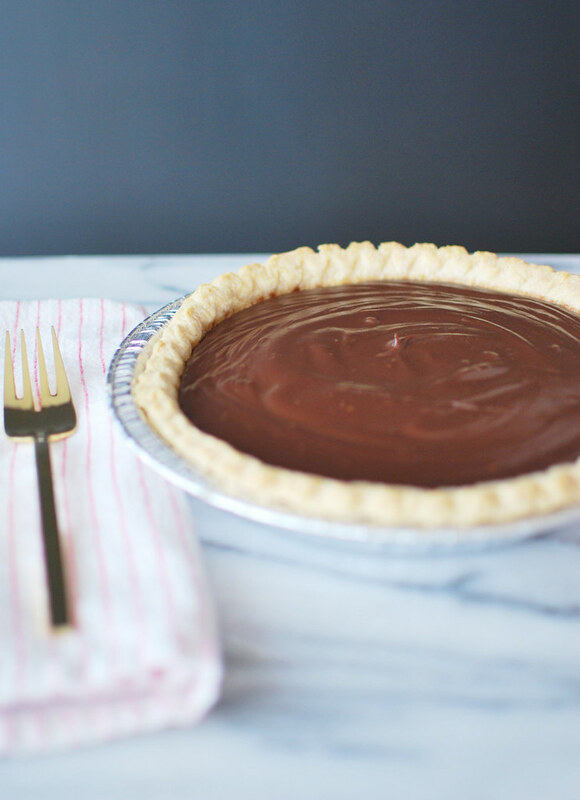 And because I've never had it before and because I had a huge craving for chocolate AND pie, I knew this had to be made. It's such a simple recipe, I was actually kind of concerned that it couldn't taste that great but I trust Ree Drummond and thought well if she says it's good, then it's got to be good. So I made it. And I LOVE it. 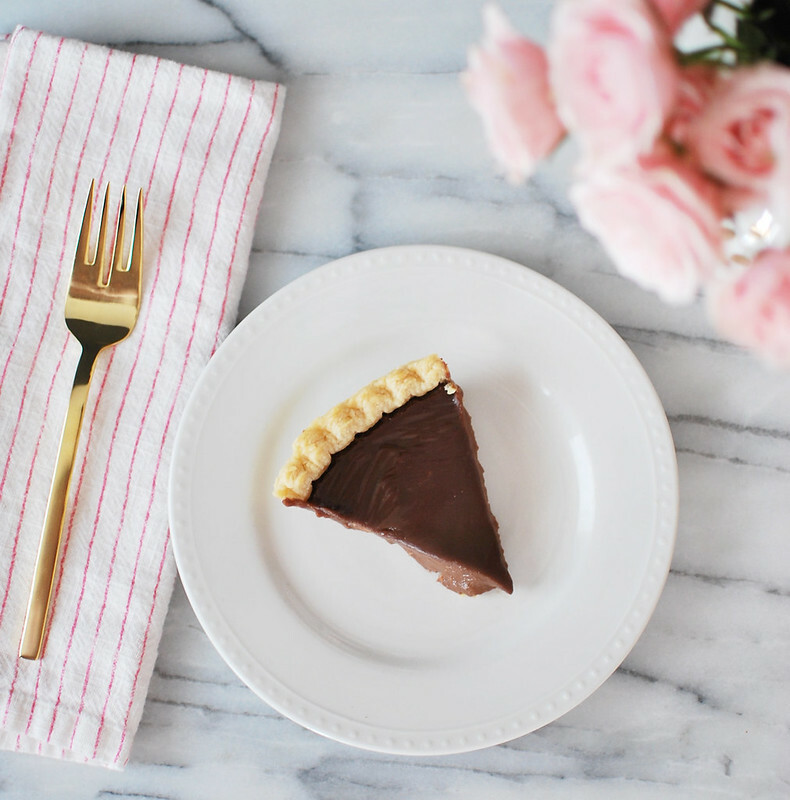 I can't believe it took me this long to have/make chocolate pie! 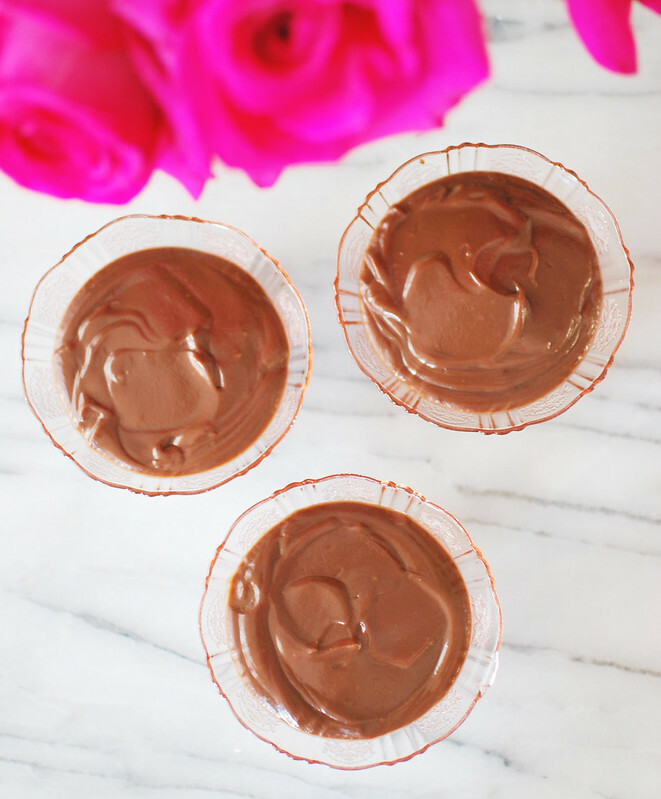 It's so simple and easy to make and I bet you have all of the ingredients in your home already. 1. Combine the sugar, cornstarch, and salt in a medium saucepan. Stir or whisk together. 2. Pour in milk and egg yolks, and whisk together. 3. Stir over medium heat until the mixture just barely comes to a boil and becomes thick, about 6-8 minutes (maybe less, maybe more; just watch it!) The second it starts to bubble and thicken (note: It should be thick like pudding!) remove it from the heat. Add the chocolate, vanilla, and butter, and stir until everything is beautifully combined. 4. 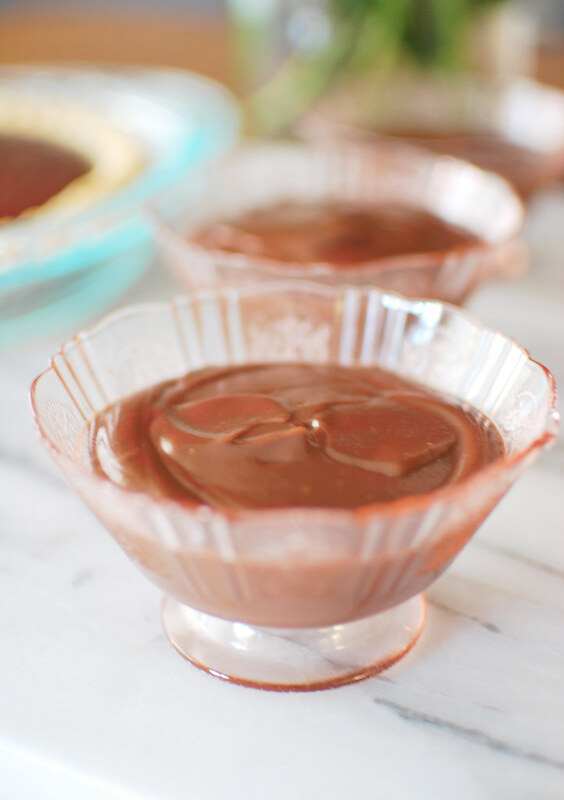 Pour the pudding into the pie crust (if there is extra, spoon it into small dishes) and place in the fridge to chill for 4 hours uncovered. 5. Cut into slices and serve with whipped cream! I didn't have whipped cream but not to worry, it' so good you don't even need it! wow! This looks so yummy. And I really love taste of chocolate. At the weekend, I will make it.